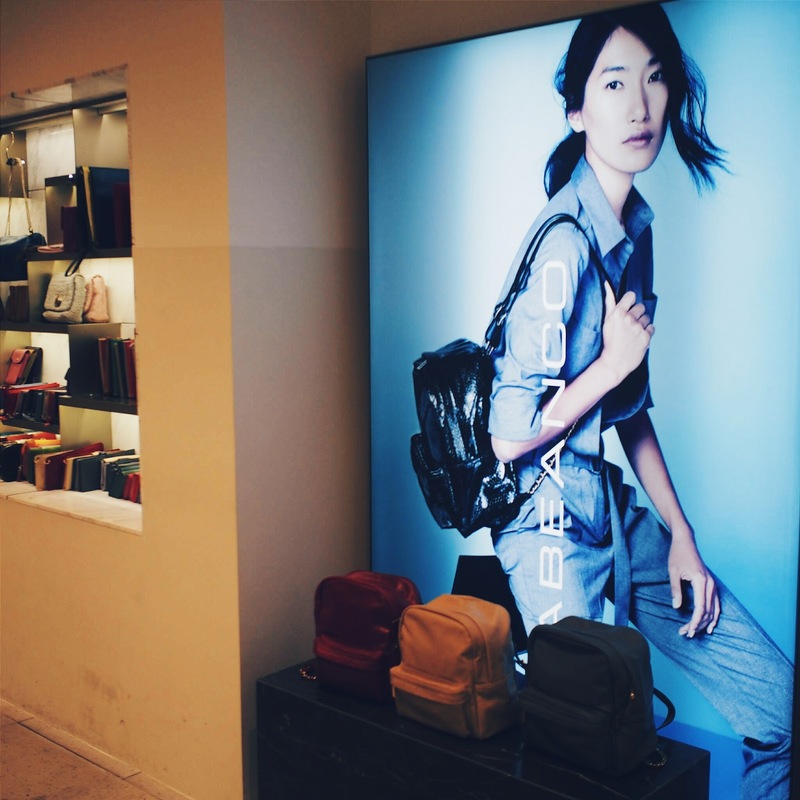 VivoCity, lovingly known to us locals as “Vivo” has a newly revamped Basement 1 level that I’m sure many of us fashion/beauty lovers are super excited about. 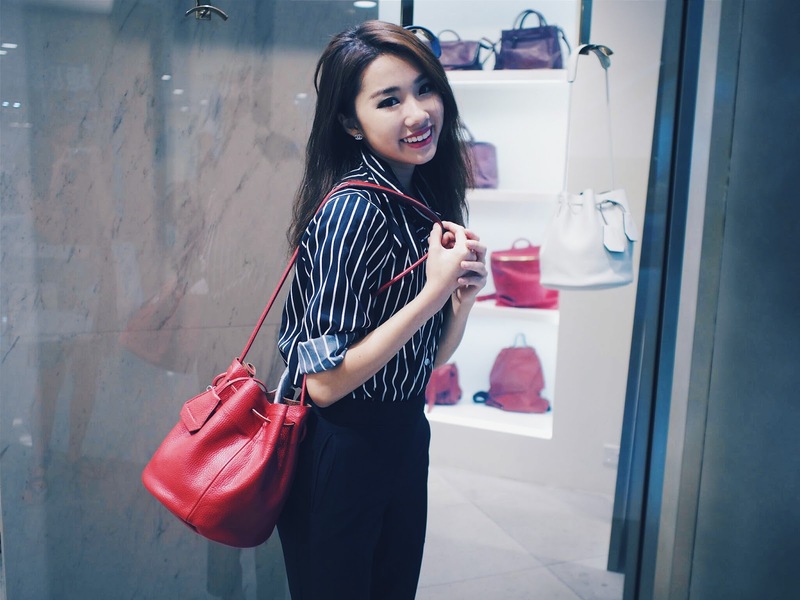 I personally frequent Vivo quite a bit because the mall is so huge and I love having everything I need all at one place – Food, fashion, entertainment, and if you’re bored, Sentosa Island is just a short tram ride away. Plus, it is the largest retail and lifestyle destination mall in Singapore! 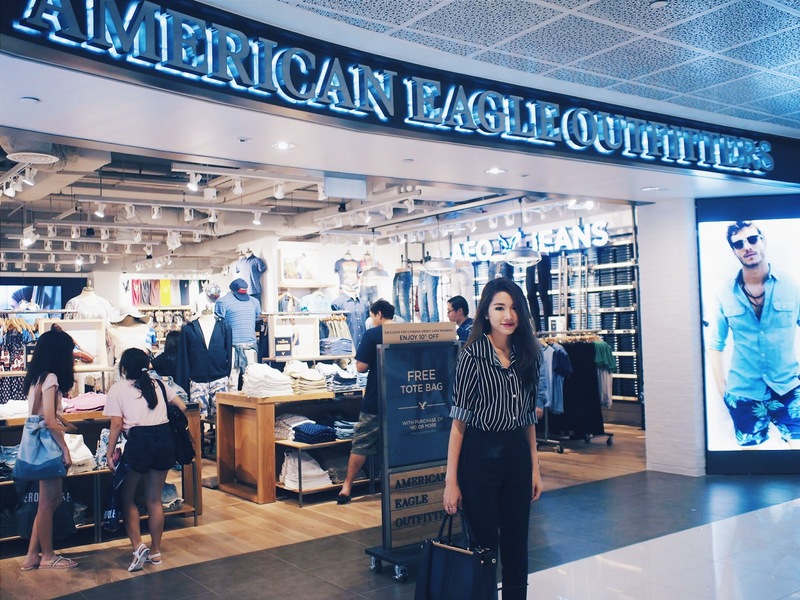 When VivoCity invited me down to check out their new Basement 1, I was pleasantly surprised because a few of the highly-anticipated brands have finally hit Singapore, and they are all conveniently located at Vivocity alongside many of my favorite brands, within the same mall. You would imagine… I went a little crazy shopping there that day :P Hahaha couldn’t resist unfortunately. How can you blame me right?? One level got so many shops, went in from one to another, it was impossible to stop! 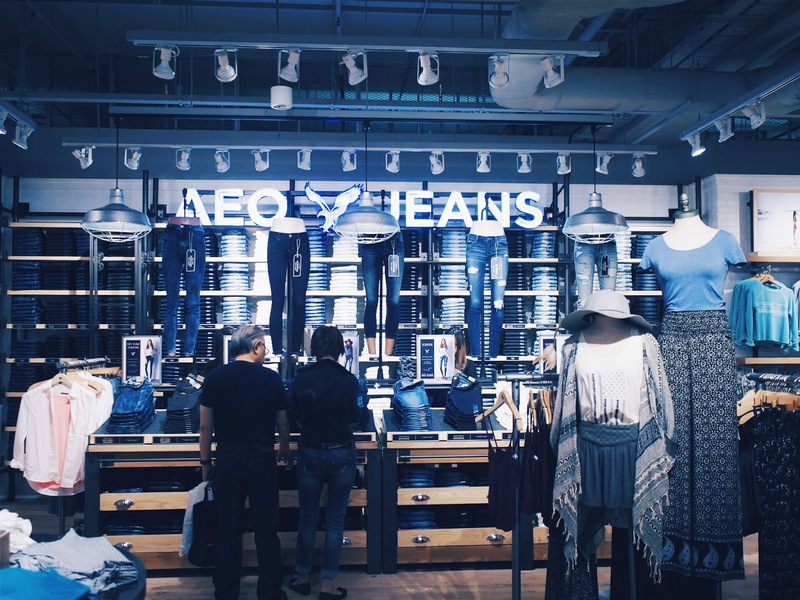 The first stop AMERICAN EAGLE OUTFITTERS (AEO) , this American brand is FINALLY in Singapore! Gone were the days I could only look at their site online and not get my hands on them. I love how their style is very chill, causal and more importantly, they have such a huge range of denim jeans in different cuts, washes and sizes. I don’t usually wear jeans because it’s difficult to find one that can fit me well. Of course, so many things caught my eyes. Bohemian styles are really big this season, so I picked out this beautiful flowy white top and paired it with a pair of low rise denim shorts. 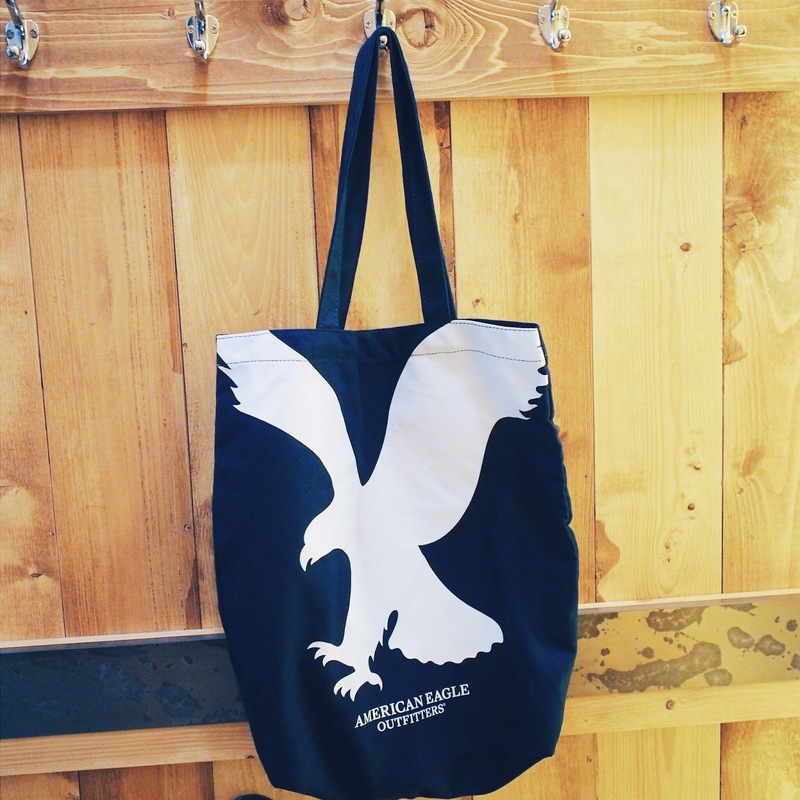 Spend over $80 in a single receipt and you will receive an AEO tote bag that is super pretty and trendy! Then, I stepped into RABEANCO . The first thought, “this place smells amazing “ don’t mind me, I have this thing for the fresh scent of quality leather and RABEANCO was full of that. 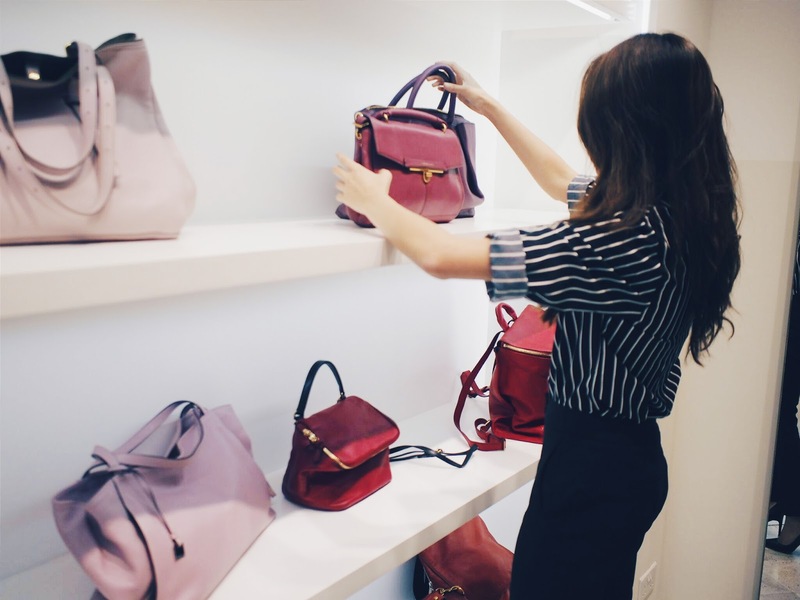 Immediately I knew, even without feeling the bags and wallets for myself, that quality wasn’t gonna be an issue. Anyway, it’s difficult to tell you how much discipline I needed to exercise to come out of RABEANCO empty handed (for now). Show this screenshot at RABEANCO @ VivoCity and get 20% off all regular-priced items! 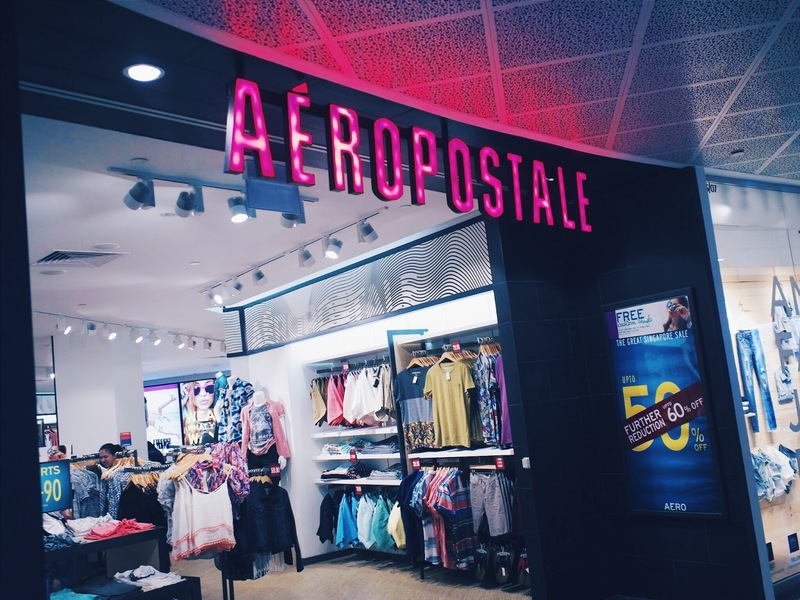 I love AEROPOSTALE for its casual and effortless style. This gorgeous blue embroidery top caught my eye! Here’s another discount code for you guys, Quote “mongabong” to receive 15% off all items! ETUDE HOUSE is one shop I can never walk past without running in, even if I was running late for an appointment. 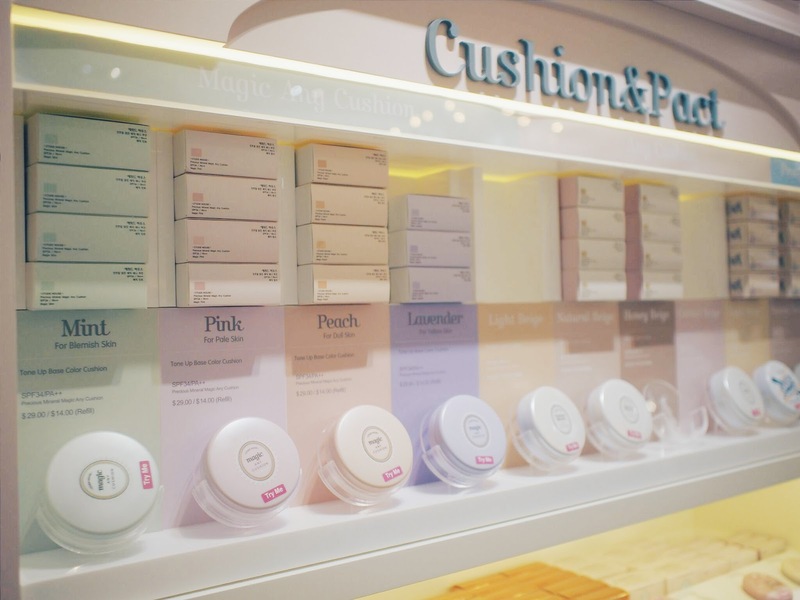 I’m a fan of ETUDE HOUSE products and I love how the shop is always so brightly-lit, pink and pretty! Is it just me or do you guys always leave with your hands full of swatches everytime you leave ETUDE HOUSE? Love their 101 Play Pencils!! These multi-purpose pencils are $12 each and can be used as eye liners, brow pencils, eye shadows, blushers, lipsticks, highlighters, and sometimes even concealers, and like all things, Celebrity Make Up artist, Pony has many tutorials on Youtube on how to use these pencils so you can learn how to create looks with these! Shoe heaven literally! They have shoes for every girl, every occasion, from working shoes, to the sky high, glitter studded stilettos for the wild child in you. Quote Mongabong or flash this post to them to get 5% off all items including Special SALE items!!! I’m absolutely spoiled by the kind people at VivoCity, and I’m so thankful that they have allowed me to spoil you guys too J Remember, these discounts and freebies only last till the end of this month, 31 July 2015. Hurry head down to VivoCity now and shop till you drop! For easier reference, here’s the list of goodies and discount you can receive from now till 31st July 2015.